The DePuy Synthes Radial Head Prosthesis System is an elbow prosthesis indicated for primary and revision joint replacement of the radial head. 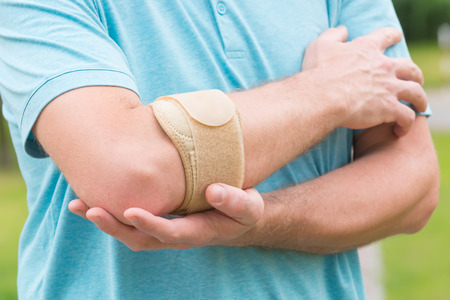 The DePuy elbow implant received U.S. Food & Drug Administration (FDA) clearance via the agency’s 510(K) program in June 2011, but was removed from the global market in December 2016 due to the possibility of the radial stem could loosen at the stem-bone interface. The DePuy elbow implant system is a two-piece modular system comprised of titanium alloy stem and cobalt chrome head components, along with an integral screw and side-loading application to allow for in-situ assembly. The system offers 24 different heads and 10 different stems, giving surgeons a choice of 240 potential implant combinations. The side loading option may also enable surgeons to make smaller incisions. Johnson & Johnson obtained FDA clearance for the DePuy elbow implant via the 510(K) program. This program does not require a device maker to conduct human clinical trials if it can be shown that a new product is substantially equivalent to a device that was previously approved by the agency. According to an “URGENT NOTICE: MEDICAL DEVICE FIELD SAFETY NOTIFICATION” issued by DePuy Synthes on December 30, 2016, the entire Radial Head Prosthesis System was affected by the removal, though only the radial stem has the possibility of loosening post-operatively at the stem-bone interface. The FDA declared a Class II medical device recall for the DePuy Synthes Radial Head Prosthesis in February 2017. A Class II designation indicates recalled components may cause temporary or medically reversible health consequences. Doctors who have treated patients the recalled DePuy elbow implant have been advised to follow those patients in the usual manner.